Astronomy is the scientific study of the sun, moon, stars, universe etc while astrology is the study of movements and positions of stars and planets in the belief that they influence human behavior and destiny. Astrology includes several groups of traditional systems basically classified as Eastern and Western ones that use the position of the planets and stars at the time of an individual’s birth to predict his future, personality, important events of his life etc. Scientists often negate astrology claiming it has no physical basis of proof. Astrology and astronomy came to be regarded separately only during the modern times as, in early history of mankind, science had not developed to the point where the quantifiable aspects of astronomy could be reasoned out clearly. The functioning of the stars and planets was a mystery to man till progress was made in scientific fields over the last hundred years. Science has now come to completely denounce astrology as a pseudo science though astrologers continue to swear by it. Meanwhile, a more technical definition of astronomy states that astrophysics covers the physical properties, behavior and related dynamic processes or phenomena of celestial objects including the earth while astronomy covers objects outside the earth’s atmosphere. Solar astronomy that covers the most important star in the planetary system ‘“ the sun. 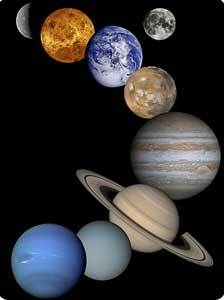 Planetary science that covers comets, planets, asteroids and other bodies that are orbiting the sun. This includes all extra-solar bodies too. Stellar astronomy that covers any planetary nebula and is the basis of the understanding of how the universe functions. Galactic & Inter-galactic astronomy that covers Milky Way ‘“ the galaxy our planetary system is in. There is not much known yet about the nearest galaxy to Milky Way ‘“ the Andromeda Galaxy. Physical Cosmology which studies the overall structure of the cosmos that comprises several galaxies. Ironically, astrology and astronomy are two sciences in which amateur practitioners have contributed the most than in any other fields of human endeavor! lanceaksh. "Difference Between Astronomy and Astrology." DifferenceBetween.net. November 12, 2009 < http://www.differencebetween.net/science/difference-between-astronomy-and-astrology/ >. the net. I am going to highly recommend this web site!